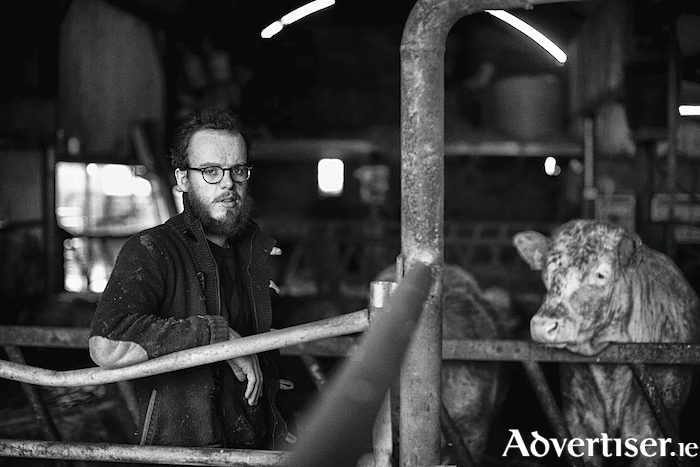 An honest and compelling account of embracing farm life, ‘The Cow Book’ by John Connell has become one of the most remarkable memoirs to come out of Ireland this year. As part the Burren Winterage Weekend, John Connell will read from his book tomorrow Friday October 26 between 3 and 4 pm at Gort Library. This event is supported by the Healthy Ireland at your Library initiative. In his book, Mr Connell records the hypnotic rhythm of the farming day - cleaning the outhouses, milking the herd, tending to sickly lambs, helping the cows give birth. But alongside the routine events, there are the unforeseen moments when things go wrong - when a calf fails to thrive, when a sheep goes missing, when illness breaks out, when depression takes hold, when an argument erupts and things are said that cannot be unsaid. The Irish Times has called The Cow Book ‘A meditation on the real meaning of home and place’. The Guardian has described John Connell’s book as ‘A moving memoir (that ) tracks his life on the family farm...and charts humanity’s long relationship with cattle’. “As communities living in and around the Burren come together this October bank holiday to celebrate the value of farming to our landscape and heritage”, said Annalisa Murphy, Coordinator at the Burrenbeo Trust, “we are delighted to have John Connell read from his book that will no doubt resonate with all of us, farmers and non-farmers alike”. This Farm Book Event has free admission and is one of the many events organised for the Burren Winterage Weekend taking place from October 25-28. What should be Galway city's priorities over the next five years? Who is coming to the Róisín Dubh Comedy in 2019? Page generated in 0.1989 seconds.